Cal Expo once again proved to be the most productive place for our suggestions, including horses returning to win for the first or second time from our Cal X watch list. At the Meadowlands we had a minor success and The Meadows no success but as followers of this blog know, we don’t give up easily on the contenders we follow and we shun from those obvious public choices we know can beat us but offer no value. Let’s start with the success out west. Friday, Feb. 11, Showmurs won for the second time off of our watch list, this time paying $10.20. Then, Saturday night, Feb. 12, Red Star Gilda made it to the winners’ circle, paying $12.60. Sandra Hotspur repeated a win, though she was a massive choice with only a $4.40 win mutuel. In the race after “Sandra” won, Cruisersluckyseven won for us, paying a generous $9.40. Following that, Hell N Damnation got home first, paying $6.40. At the Meadowlands a dead heat with a 12-1 shot belittled our only success, this one in the second leg of the Aquarius Series. Whiskey Pete paid only $4.40 while being matched in speed with Art Professor. That one, which came from our Meadowlands watch list a week or so back, paid only $11.40 as a dual winner. You might have had the exacta one way or another had you relied on the lists. With “Art” atop, it paid $58.40. The other way paid $33 and change. We claim winners from horses we have on our watch lists even if they lose the first time out from that list. Our lists demand following a horse at least twice after its appearance on a list (as your personal lists should require). Also, if a horse wins at first crack off the list, look for a comeback next out. It is not uncommon for us to have a first-time winner from the list that comes back a few more times to win. Sometimes, those horses pay as much as they paid the first time, sometimes more and sometimes less. Judgment of play is up to you. Each of us measures value somewhat differently. Some horses we back are worth it at 2-1 while others can easily be passed. We are not suggesting you don’t handicap a race featuring horses from our lists; we just urge you to emphasize their appearance and assess value yourself. We will continue to share with you our personal watch-list contents but don’t rely on us as your sole source. You need to watch races and set up your own lists, keeping vigil on the horses you find failed because of legitimate trouble or because they were simply poor public choices. Trust your own evaluations. The more replays you watch and the more charts you read the better your “eye” for trips becomes and that will lead to playing severe overlays, which is the road to profits. 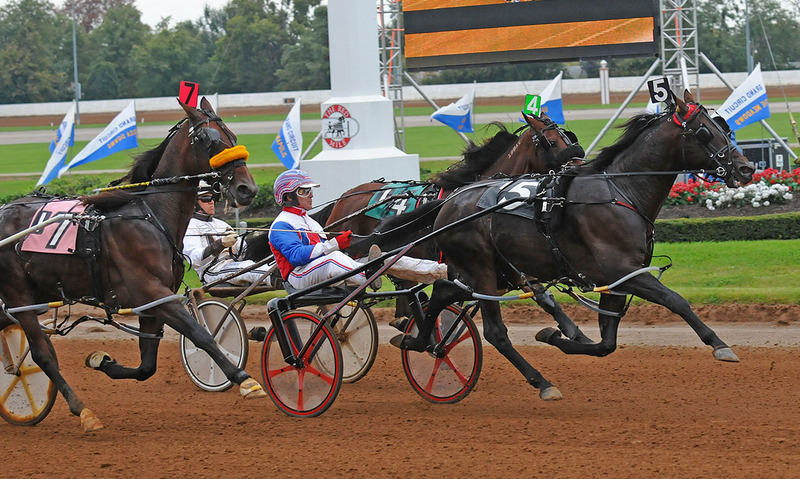 The Meadows 2011 stakes schedule is an estimated $7.86 million, including the pacing glamour boys’ Adios Pace, this year on Saturday, July 30. There is a $50,000 Adios consolation this year, as well as the filly version, the Adioo Volo, all part of Grand Circuit week, which kicks off Monday, July 25. 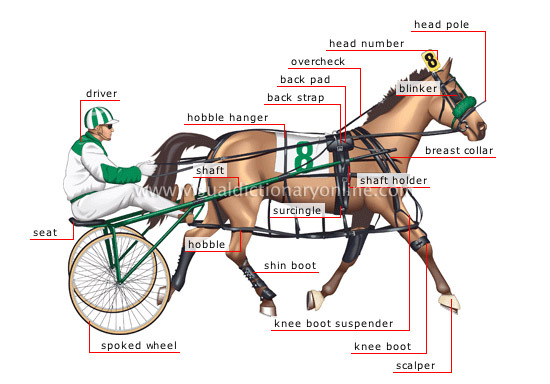 One card does not a study make, however, a look at the winning routes of horses at Yonkers on Feb. 12, going the 1 1/16-miles distance, shows that the nature of harness racing is intact if the race is “standard” or expanded. The jury is not back yet with a decision that the extra real estate is making a big difference in the advantages and disadvantages of post positions on the little raceway. In fact, a look at the races last week revealed a rather ordinary configuration of wins. That is, speed was generally productive and closers managed to make up ground when speed went awry. In simple terms, the trip mattered every bit as much as it does in 1-mile races on any size track. This in itself may wind up to be the edge, though it seems the public has been on target with its choices. On Saturday night, the public choice won five of 12, was second twice in 12, was third three times in 12 and was out of the money only twice. Our advice for playing Yonkers is keep your eyes on the trips, like you should do anywhere else at any distance races.